The "From Only" and "From Price" reflects the lowest price for this tour, which is a triple rate. 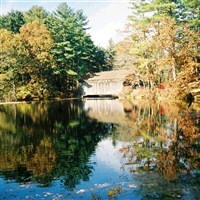 Enjoy the beautiful New England fall foliage as you travel through the mountains of Vermont to the seacoast of Maine. Photo courtesy of Cheryl Johovich. Luncheon at the "Trapp Family Lodge"
You will travel through the colorful hills of Pennsylvania on your way to Connecticut for an overnight stay. Enjoy the beautiful scenery of Massachusetts and New Hampshire as you head north. This morning, you will visit the Mark Twain House & Museum. Mark Twain remains one of the most beloved and most widely read authors of all time. Your next two nights* will be spent in Rutland/Killington, Vermont. Today you will visit the Morse Family Farm where you will learn how Vermont's maple syrup is made. 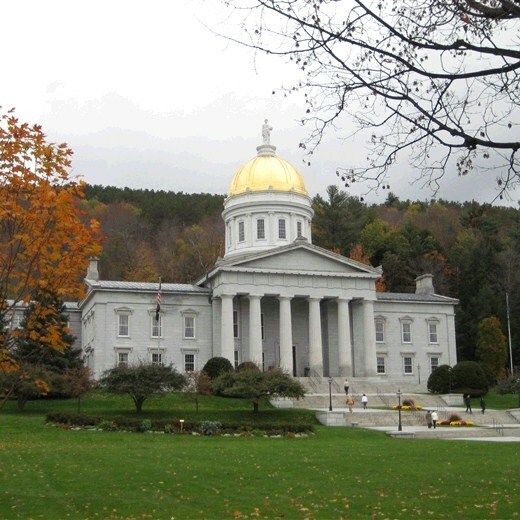 We will make a photo stop at the gold-domed State Capitol building in the nation's smallest capital - Montpelier. Enjoy an exquisite luncheon at the beautiful "Trapp Family Lodge". Visit the lodge and shop the gift shop. Learn about the Sound of Music family! Ben and Jerry's Ice Cream factory will also prove to be a thrilling experience. Today before you travel to New Hampshire, you will make a photo stop at Quechee Gorge - Vermont's Little Grand Canyon. Travel scenic roads into the White Mountains of New Hampshire to Loon Gondola. 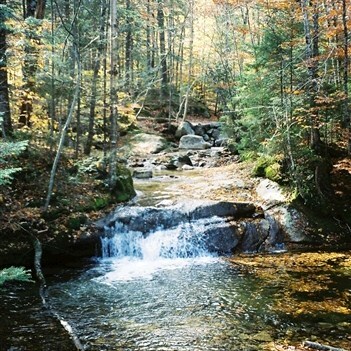 Next learn about Franconia Notch State Park with a stop at the Visitor's Center and the Basin. At the Basin, you will take a short nature walk on a paved path to natural rock pot hole, shape of a basin, filled with water. Your next two nights will be on Ogunquit Beach in southern Maine. 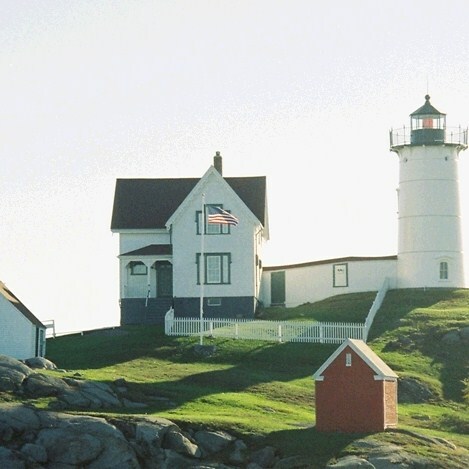 You will enjoy the splendor of Maine and its seacoast towns. Today's activities will include a tour of York Village, York Beach, York Harbor & Cape Neddick for a photo stop at the "Nubble Light". Then it's onto Kennebunkport. Drive by the Bush's summer home and the sea captain's mansions. Time to dine, explore, shop, and browse in Dock Square. Experience the thrill of a lobster cruise that only the true lobstermen know! Learn all about lobsters and lobstering in Maine. Dinner tonight will be a Downeast Lobster Bake with live entertainment. Begin the journey home. Enjoy a stop at Old Sturbridge Village, which depicts life in an early 19th-century rural village. Overnight stay in Connecticut. You will continue homeward through the welcoming hills of Pennsylvania. 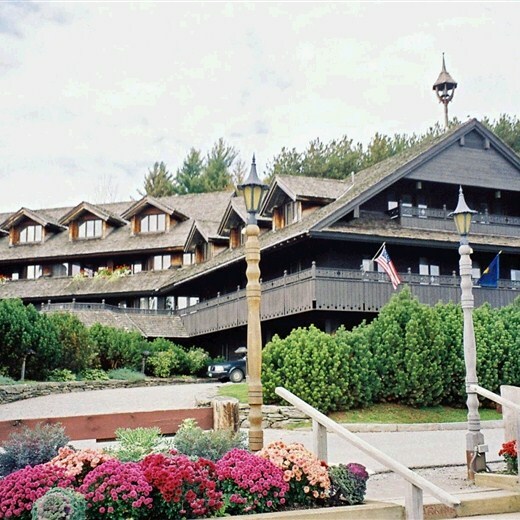 Includes: Transportation, lodging, six breakfasts, lunch, three dinners (including one lobster dinner), boat cruise, admissions per itinerary, guide service in Vermont/New Hampshire/Maine, baggage handling, and taxes. *Note: Tour sells out quickly. Please book by early August. *Note: Hotels in Killington, VT and Ogunquit, ME are lovely two story buildings without an elevator. Please request a first floor room when making your deposit if you cannot climb stairs.